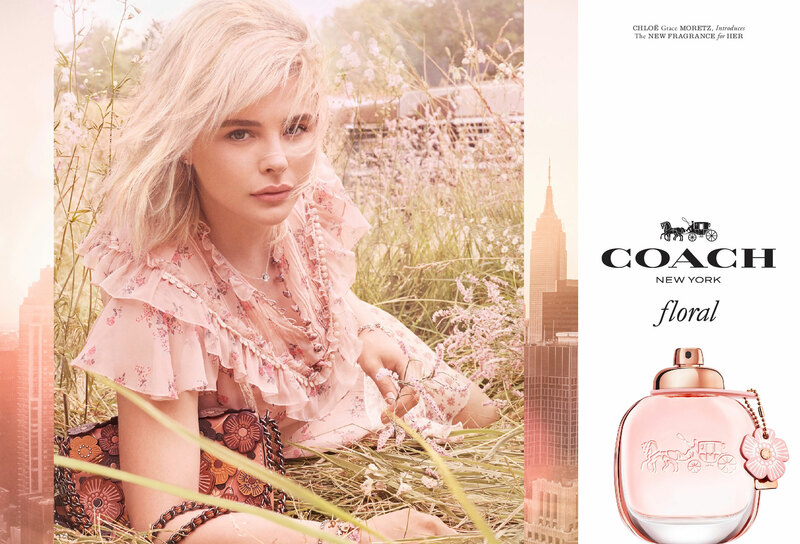 Coach model and actress Chloe Grace Moretz is featured in the latest ad campaign for the new Coach Floral fragrance, a new woody floral scent for women. This musky perfume was inspired by leather tea roses and includes notes of pineapple, citrus, jasmine, gardenia, rose tea, patchouli, musks, and creamy woods. 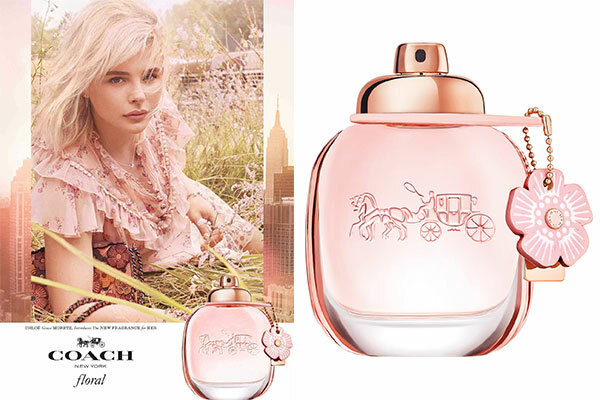 The fragrance, launched in January 2018, gets an updated rose gold accented perfume bottle with a pink tea rose charm and is available in eau de parfum spray and body lotion at department stores ($48-$98). The fragrance campaign features Moretz in a pink floral print dress holding Coach's Dinky with Tea Rose bag photographed by Steven Meisel.